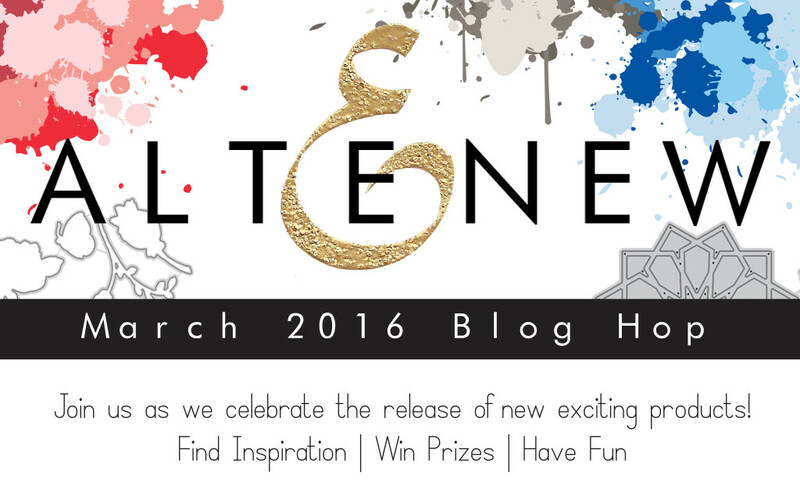 Hello and welcome to Altenew March 2016 release blog hop! You probably came from extremely talented Marika (and I am sure you’re smitten by her work). If not – you may consider starting from the beginning at Altenew blog and see what other members of Altenew’s design team have come up with (and also you have a chance to win a prize on each hop node). 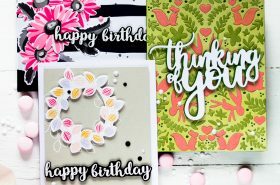 Today we are celebrating the release of 2 4″x6″ stamp sets, 9 2″x3″ stamp sets, 21 dies, 6 papers, 12 inks, and a set of acrylic blocks. I made four cards for this release. The first one is the most simply, quick and clean. Every time when I do many cards as a time I like making at least one true CAS card. This is not my regular style and usually I don’t make such. But I like seeing them at others and dream to manage this type of cards one day. For this card first I cut a panel from new Real Gray cardstock. Next – first stamped the camera “background” using the back side of the camera stamp from new Capture Moments set, stamping it with Ocean Waves ink. Then I stamped the camera with Persian Blue ink. Stamped a simple “smile” that found in You Are set. Adhered the panel to a white card base and added some sequins. For the next card I made a trophy full of flowers. Just love how such type of trophy looks used for decor purposes (wish I had one). So to make this card I first die-cut a trophy from new Real Gray cardstock using a die from new Trophy Life set. I wanted it to look like a silver one that had better days. So to add some wear I stamped one layer from To the Moon set with new Evening Gray ink and covered with Silver Wink Of Stella. Stamped and colored a succulent from Succulents set, die-cut the using a die from Succulents and added them “inside” of the trophy. I took a darker gray card base, cut a panel about an inch smaller from new Woodgrain White cardstock, which adhered to the card base. Next I adhered the trophy and flowers using dimensional foam squares, added a sentiment from Label Love set (stamped with Ruby Red ink) and several clear droplets. The next card is probably my favorite one. I just love space theme. First I can a panel from new Navy cardstock and white embossed “stars” using new mini Snowing set. Not sure that there are so many stars of such size seen from our Solar system, but I think it’s still looks like a starry sky. Next I made my planets. For the Earth I first stamped continents using new Mini Atlas set, stampng it first using Forest Glades ink, then – Dark Chocolate and finally stamped over with Versamark ink and clear embossed them. Next I inked cardstock around the continents using Ocean Waves ink. And finally stamped several times one layer of moon from To the Moon set in white ink to add clouds. And finally I die-cut a planet using a circle die. For the Moon I stamped the moon from To the Moon set using new Morning Frost, Evening Gray and Moon Rock inks. And die-cut a part from it using a circle die less radius then the one I used for the Earth. To the Moon set is genius. Even cutting a part from the Moon I still got a planet that looks a lot like the Moon. This set is absolutely must have if you ask me. I white embossed a sentiment from To the Moon set on a stripe of Navy cardstock. Cut the “starry sky” panel into two piecesand adhered them to a white card base along with the sentiment leaving some white space between them. Added some “shine” with white ink in the space I intended my planets to be positioned and finally adhered them to the panel (using foam squared for the Earth). And for the last card I used a new set designed our extremely talented Marika – Birch Land. I stamped four birch trunks on a watercolor paper, colored them and hand cut. And I stamped some flowers and leaves from Daisy set using Arctic, Caribbean Sky, Persian Blue, Sapphire for flowers and Mango Smoothie, Warm Sunshine and Caramel Toffee for leaves. Cut a panel from new Dark Chocolate cardstock, adhered it to a card base and then adhered the birch trunks in the shape of the frame to the panel. Added some droplets of Distress Spray Stain Antiqued Bronze, adhered flowers and leaves, a sentiment from Beautiful Lady set and some wooden dots. So there were my cards I made for this release. Hope you liked my cards and got some ideas how new supplies can be used. To celebrate this release, Altenew will draw three winners who will each receive a $50 gift certificate to their online store. Please leave a comment on the Altenew blog by Friday, March 18 11:59pm EST for a chance to win. I will also randomly choose a winner from comments left on this post and the prize will be $30 gift certificate to Altenew online store. Please leave a comment on this post by Friday, March 18 11:59pm EST for a chance to win. I will announce the winner here in this post on Saturday, March 19. The winner of $30 Gift Certificate is Marty B. Congratulations! Please e-mail winner@altenew.com to claim your prize. I will also be e-mailing you. The next stop in the blog hop will be incredible talented Agnieszka Malyszek. If you got lost, please go back to Altenew Blog. Your cards are out of this world! Wonderful collection of cards..lucky folks who will get any of these! Amazing cards Svitlana. 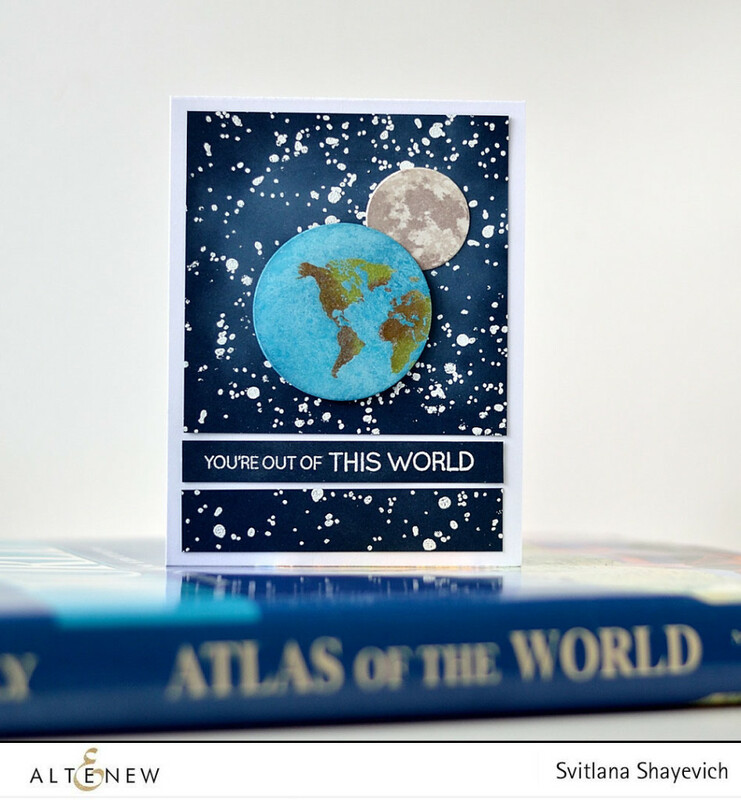 Love the moon card… the mini atlas image is perfect on the Earth. your last card is lovely! The tree trunks look great as a frame! Very creative. Просто суперские открытки, особенно космическая! LOVE your CAS Smile card, Svitlana!! Света, открытки просто потрясающие! Такие разные, впрочем как всегда)) Спасибо за вдохновение! Love the fresh, new energy you bring to your designs. You showcase the versatility of these new stamps in a delightful way……gotta’ have Marika’s birch trees! All beautiful, Svitlana – but I must commend you for the fabulous detail you gave to the trophy!!! Such a smart girl! Since I am a grey-loving girl, I’m super excited to try the True Grey cardstock! Thanks for all of your inspired cards! 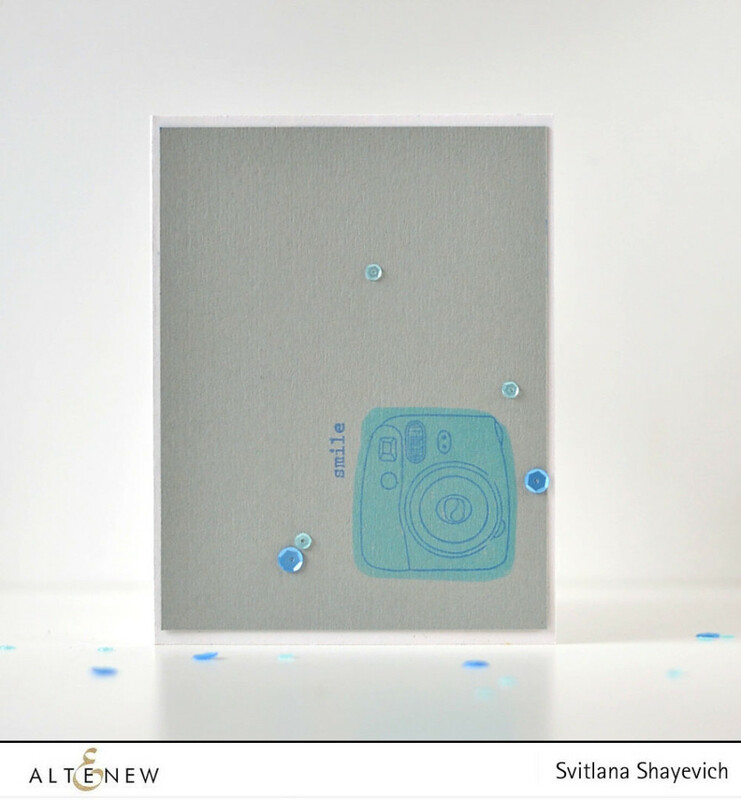 The Birch Tree frame card is so original and beautiful, Svitlana, but each of your cards is unique & lovely! Such creative ways to use the stamps and dies. Each card has something so unique, I’m asking myself why didn’t I think of that. Beautiful, lovely cards! LOVE the CAS perfection of card #1! Such beautiful cards!! Loving this release! Fantastic cards! Love the second one! All your cards are delightful. The space scene is extraordinary. Love your cards! 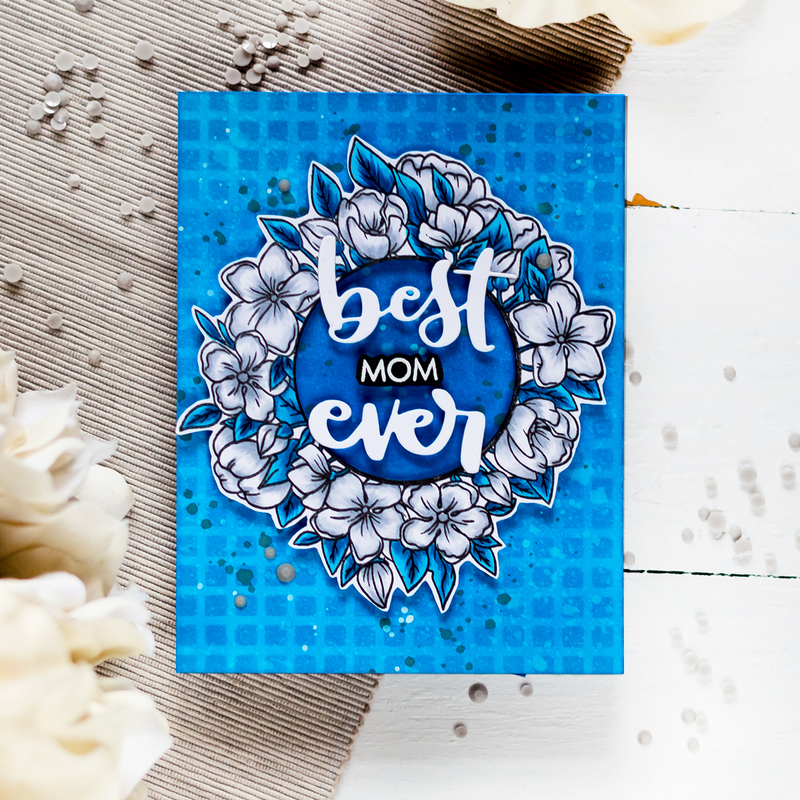 I love how you think outside the box to create such beautiful cards! I would never have thought to use the birch trees as a frame! The simplicity of your first card is stunning! Your cards are so creative! Wow your cards are beautiful and very creative. Thanks for sharing them with us. Great cards. Love the new release. I love all the cards. Especially how the papers are textured. Your cards are very unique and make great use of the new release. Thanks for the inspiration. You designed with some of my Altenew favorites today! Great looks! You really capture outer space well! My favorite card is the you are of this world,,nice coloring effects. Love your outside the box creativity on these cards. Terrific bunch of cards! I really like the out of this world one!! I love the way you used the branch for a frame-very cute! Great cards! I really love the vibrant ‘out of this world’ card, and the new wood grain paper adds a lot of dimension to your ‘thanks a bunch’ card. What a great group of cards! Love the frame you created with the tree trunks! Very nice cards with such diverse styles. Love this new release! fabulous cards… so creative and clever!! What a talented card maker you are!! Great cards!! Your cards are fantastic! I love how you created a frame with the branches, very cool! Such a wonderful variety of cards! You are so talented! LOVE what you created, Svitlana! Great ideas and nicely done. I love how you’ve used the succulents in the silver vase. 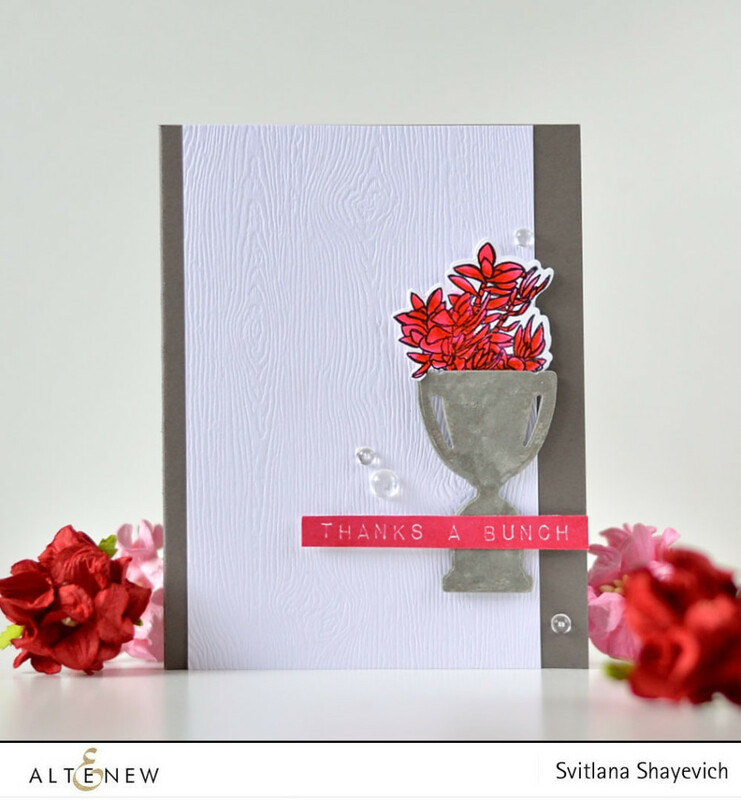 Svitlana, what a beautiful variety of cards you have done! Love them all but the birch tree frame was beautifully clever! Breathtaking cards each in their own right. I love love love the birch stamp!! Beautiful cards! I think my favorite is the space one. Very clever! Everyone of your creations are just BEAUTIFUL…..truly art work!!! Really creative ideas to use the various stamps and dies. Your cards are always so clever — the smile card made me do just that ! Beautiful cards. my favourite is the last one, very clever idea to use branches for the frame. Great cards, thanks for the inspiration. I love the designs of all your cards! I especially love the last two cards and how you creatively used the stamps. Great idea to use the atlas and snowy sets to create the earth and stars! I also really like the frame you created with the birch trunks. So cute! Great cards. I think I like the third card is out of this world ? Beautiful cards! 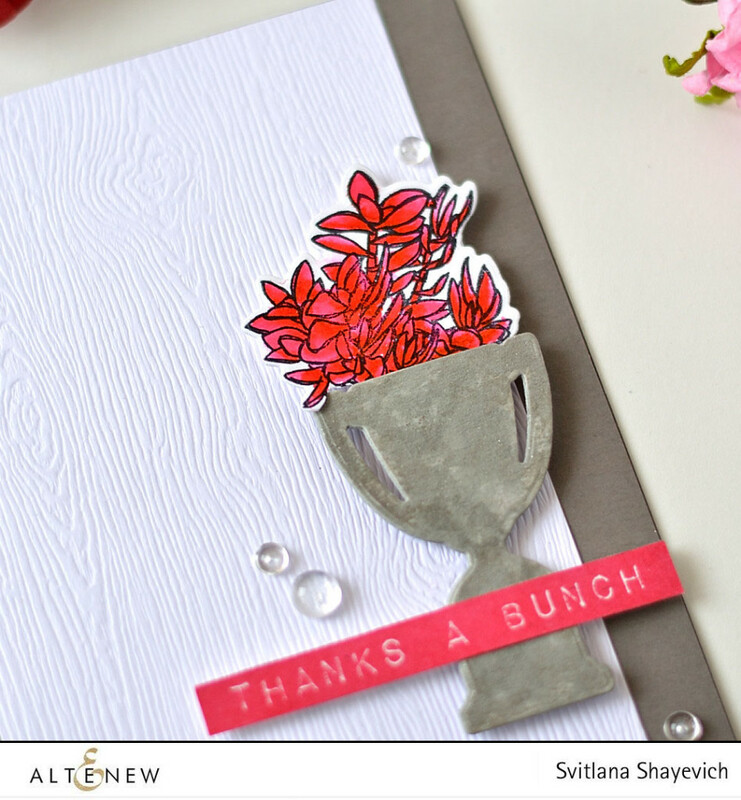 Love the way how you used the birch tree to create this card! Awesome cards! The two with the dark backgrounds are especially striking! What a wonderful set of cards. I especially like the earth one. Great work. These are all amazing creations!! All of your cards are wonderful, but I do love the space card the most. Fabulous cards!! My favorite is the out of this world card! Beautiful cards! I especially love the dark rich colors of the black and blue backgrounds. Очень крутые, твой стиль не спутаешь ни с чем! Потрясающе!! Lovely samples – love the earth one the best! Gorgeous cards. The first is really beautiful with its clean and simple lines. Also loved seeing the Birchland and Daisy sets in action in the last card. Fantastic cards! I adore the earth one!!! Such creative ways to use the stamps and dies. Very lovely cards. My favorite is the birch trees. Wow..this is my first thought! I will be finding a new hobby , I always wanted to give cards a go. I am a new paper crafter I started last summer. Or trying to..ha ha. But I love stamps and color and seeing all the different ideas, made me happy. Thank you for sharing your Artwork is so many styles. A gorgeous array of cards to share not only the release, but your abundant creativity in seeing unique ways to showcase the images. The birch trees are so striking; your camera card, CAS-ilicious! Thank you! Wow, these are all amazing! Gorgeous work!!! Your cards are always so clever and beautifully done. Absolutely wonderful array of cards in so many different styles. Wow!!! I’m totally in love with the earth and mom card! Beautifully done! Such pretty cards!! I love to see your unique and gorgeous interpretation of these awesome stamps… So artistic! Great cards! Love what you did with the birch trees. Thanks so much. 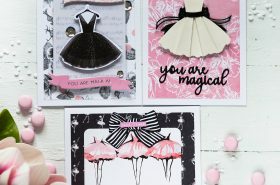 SO much inspiration from your cards! Thank you so much for sharing! 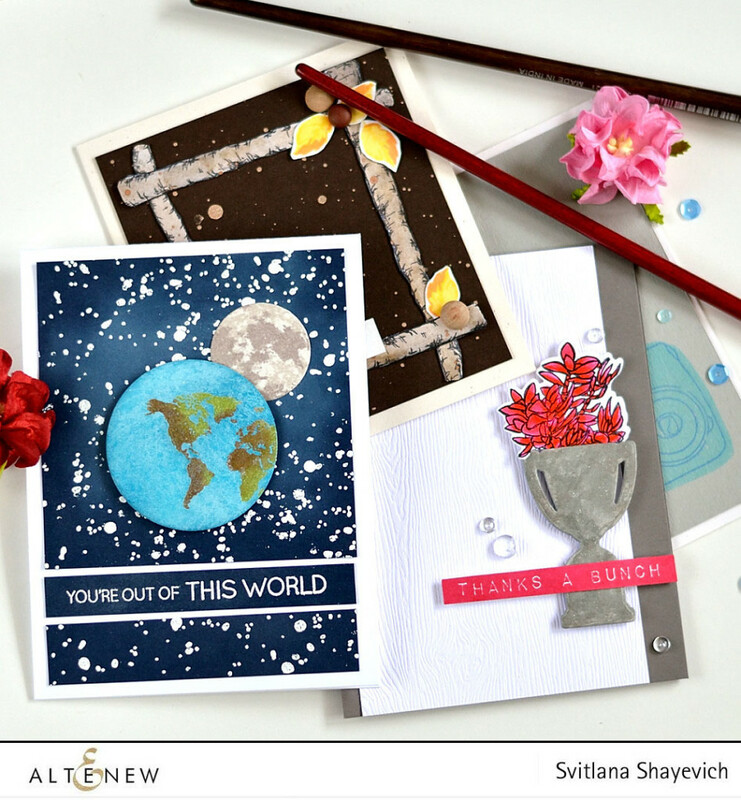 I love your “out of the world” card and your use of the birch trees is so creative! Your cards are all so unique. Thanks for the inspiration! Lovely cards, my favourite is the clean and simple camera card! Very creative use of the Birch Land stamp. 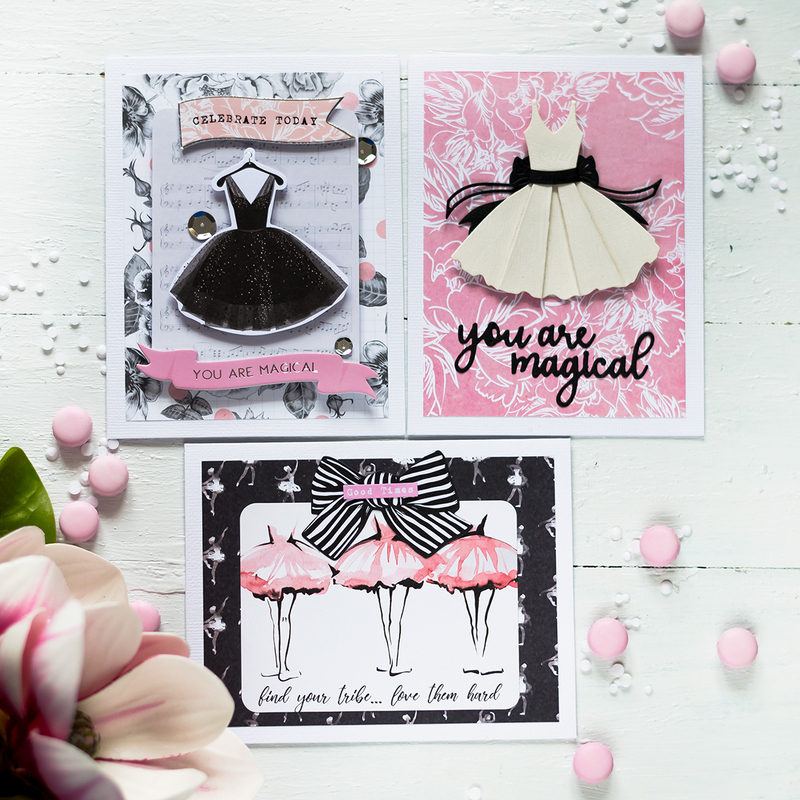 Fabulous inspiration in all your cards but especially love the moon card. What a great variety of cards!! Wonderful and beautiful cards. i love the simplicity of the first and the great designs on each. i love that space card! Wow, great cards! Thanks so much for sharing. Great job on all your cards! Luv your colors and designs using the new release – awesome! Your cards,all of them, are out of the world. Love all your beautiful cards, especially the birch frame, so clever! I like be how vibrant those cards are. Simply beautiful. Great cards! Love the world card and the background! Oh I wish you’d do a video on that moon card! Love it! The space card caught my eye first, but all of them are unique and wonderful. You are so very creative! This is a really wonderful new release and blog hop! Very creative use for the birch trees! I like all the cards! This release can really be used in many ways! Great cards. I love how you highlighted the wood grain paper. beautiful cards I really love the out of this world card and I love how you used the birch tree in your last card. Awesome cards, love the new gray cardstock and new stamps. The sky background is so beautiful, great job! I love your cards! Tha ks for sharing!!! Love your creative use of the birch tree – very unique way to use the stamps. I just love these cards. What a great release. Love those cards. My very favorite is the red leaves in the trophy; it makes a statement. Can I just say WOW, especially the effects of the last two cards. Such wonderful and inspiring cards Svitlana! Love the finishing touches of bling. Great way to think outside the box with the birch trees. Great job on all! Pretty cards! Love the navy and white on Out of this world, and the creative use of the birch trees! So crisp and clean creations, Love how you used birch trees to create the borders! Such pretty, creative cards. Thanks for the inspiration! amazing cards!! LOVE them all but my absolute favorite is the “Out of this world” card!! What a wonderful blend of elements!!! LOVE the new ink and paper colors and the images are sweet!!! Can’t wait to save my pennies so I can start shopping! TFS! Those cards are wonderful. Thank you for sharing. 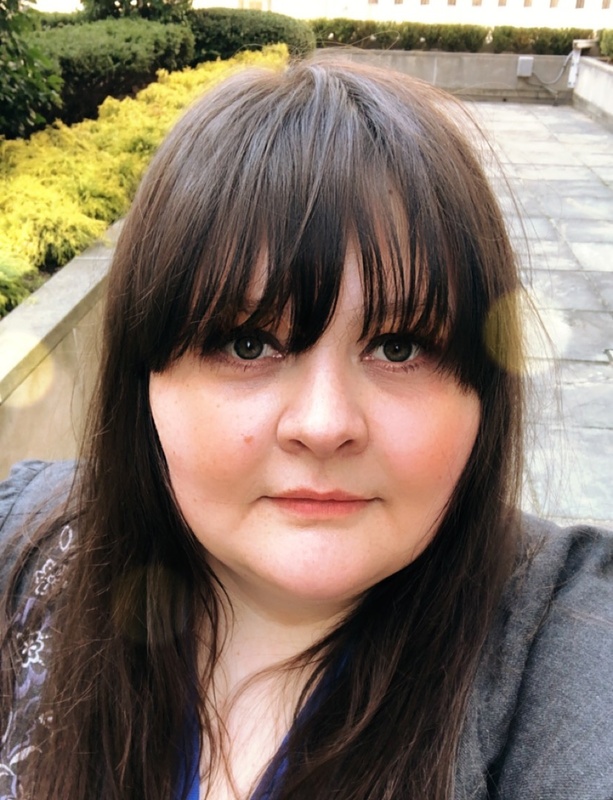 And the chance to win–I hope o can because I’m new to Altenew and want to try their products. This is really fun. Your card with space is adorable! This release! is perfect! Great cards! I especially love the one with the embossed wood grain background. So subtle and beautiful. Как всегда, твои масштабы работы поражают! Все открытки такие разные и интересные. Конечно с планетой – это самый экстаз! Ну настолько все детально и даже сфоткано на атласе! А еще очень понравилось твое использование кубка – гениально! Wonderful collection of cards. Out of the world is my favorite. Wonderful cards! I really love your space one, the white for the stars is so bright and striking! 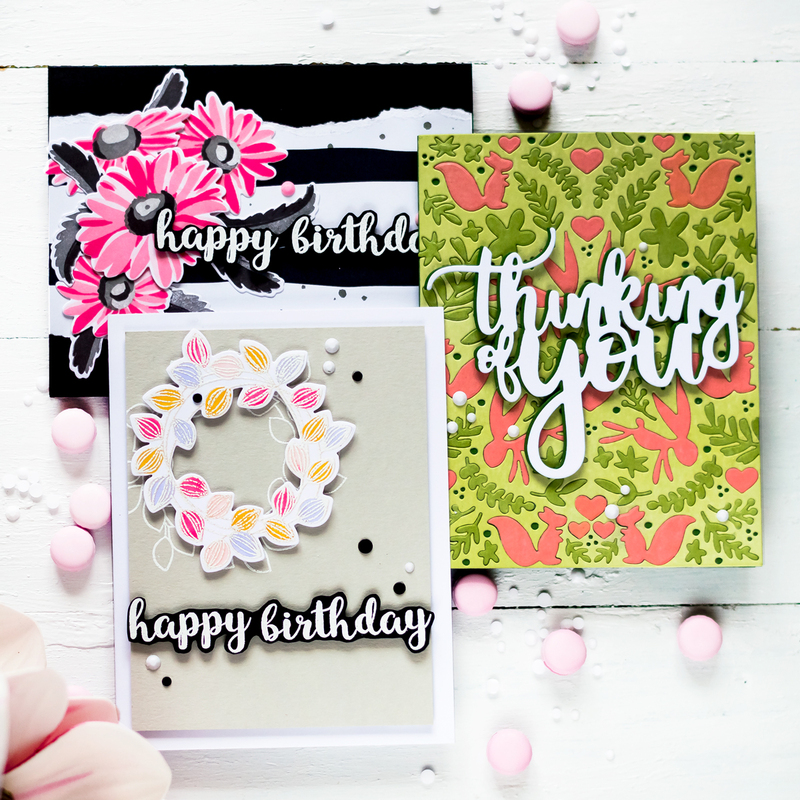 I’m always impressed with your industriousness in creating so many lovely cards..with various techniques. Great cards. Love that frame you created with the Birch trees. Wow, the space card is awesome. Love it. Amazing how this card stands out. All your projects are great. Thanks for sharing. stunning cards. love the globe. great cards. love the globe. Oh, wow, your projects are so beautiful! Great inspirations for this wonderful new release! Wonderful variety of cards. My fave is the one with the world and I also like the birch frame. Thank you for your ideas. The “Out of this World” is my favorite. I liked your idea of using the birch tree trunks for a frame. all your cards are so beautiful! but your third and fourth cards are stunning, so beautiful and amazing! You are amazingly creative! I would never have thought to use the back of a stamp for a background. And the Out of this world card is just out there! Love the way your cards pop. Thanks for sharing, it’s so inspiring. The “Out of this World” is my favorite. 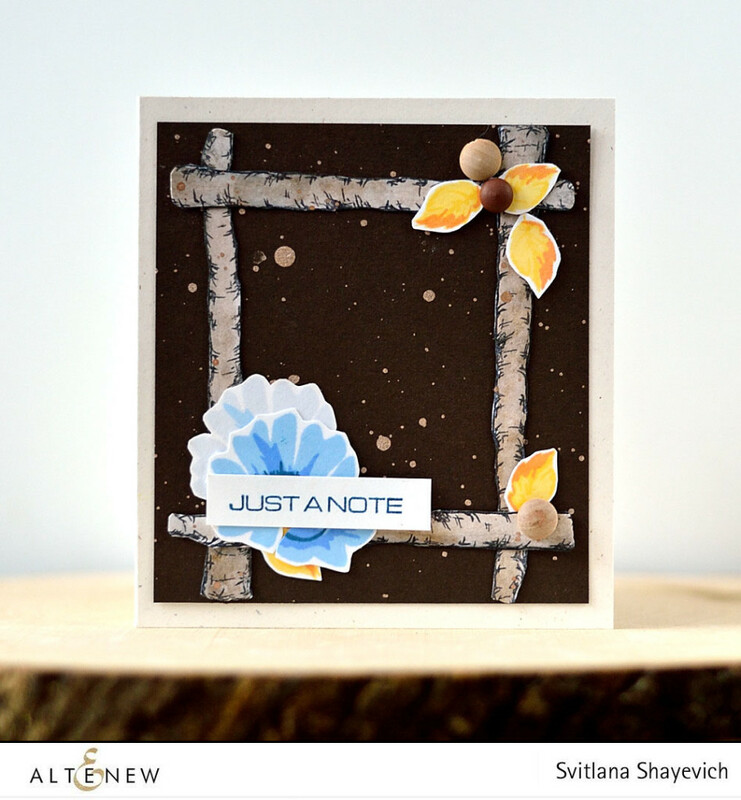 I ADORE your very last card, Svitlana – what a genius idea to use the birch tree to make a rustic frame! Your cards are so pretty with all the splatters. I love the world card. It demands attention. Wonderful cards love the space card and the cas one. Thanks for giving us such a variety of card styles. I like the “birch “wood frame and the Out of this world card. I love how you used that darn camera! So cute!! Lovely cards! Love the bold color choices. What beautiful cards! You are brilliant using the “trophy” as a urn!!! love it!!! Great cards. I favorite one is the “you’re Out of This World Card!” It is truly amazing! The backgrounds in your cards a completely Gorgeous. There out of this world. Beautiful cards. Love the birch tree and atlas cards the most. Your cards are gorgeous. Thanks for the inspiration. Beautiful set of cards, I absolutely love the 3rd one, everything on this card is fabulous, the images, sentiment all. FABULOUS set of cards Svitlana!!! They’re ALL great designs, especially the birch trunk frame and trophy filled with red succulents!!! Wow! Wonderful cards! They are all unique and creative! Wow!!!! Amazing release!!!! I love all your and the sentiments!!!! Fabulous cards made! Love it all! Thanks so much for sharing! 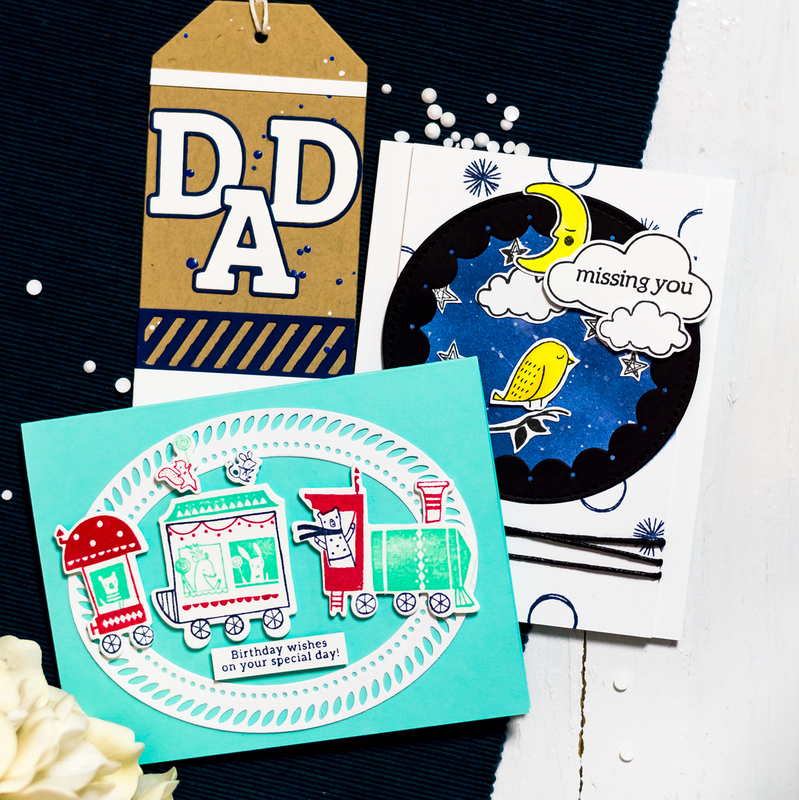 Beautifully handcrafted cards, made with love. I like your bold choices in colors ! thanks for the inspirations ! The “out of this world”card is amazing! What a cool idea for the atlas stamp! Fabulous artwork from classy to awesome! I don’t know which one I like best! They are all wonderful. Wow, your cards are amazing! I love your use of embellishments and colors. Thanks for sharing. All wonderful, but the Out of This World card is calling to me! OOOHHH! I love the last two cards the most! Utterly fabulous! Спасибо! Землей я сама так довольна. Фотик да, не на каждую открытку прилепишь. С другой стороны фотик как бы в запасе иметь надо какой-то. А это мини штамп и сам фотик прикольный. И он аутлайн, можно и так штампонуть, или разукрасить. You have such fun style! My favourite is the last one, I really like how you used the birch trees! What a great collection of cards. Such simple images, much different from what I’m used to, very, very nice! Very cool and uniques cards! Omg I’m in love ? These are all beautiful, but I agree, the moon is my favorite also. Thanks for sharing!! I love the moon stamp. Another stamp set to add to my list. Thanks for sharing these beautiful cards. Your cards are so unique! Love them!! Very unique creations and lots of variety in your stamp style. Beautiful cards, I love them all. Great cards… Love the camera one. All of your cards are wonderful. I especially like how you took the birch trees and did something different with them by making a frame. I’m always looking for ideas on how to use my stamps in a new way. Thanks for sharing your awesome creations. Beautiful cards! I love the mooon card.